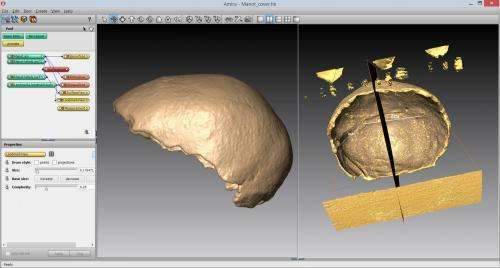 Characteristics of a partial skull recently discovered in Manot Cave in Israel's West Galilee provide the earliest evidence that modern humans co-inhabited the area with Neanderthals and could have met and interbred 55,000 years ago. 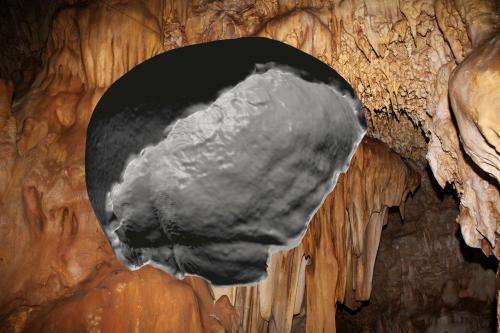 The finding—which challenges a previous hypothesis that the two species potentially met 45,000 years ago somewhere in Europe—is reported in the Advance Online Publication Nature article, "Levantine cranium from Manot Cave (Israel) foreshadows the First European modern humans." "It has been suspected that modern man and Neanderthals were in the same place at the same time, but we didn't have the physical evidence. Now we do have it in the new skull fossil," said paleontologist Bruce Latimer, from Case Western Reserve University School of Dental Medicine's Department of Orthodontics. "Modern humans and Neanderthals likely encountered each other foraging for food," Latimer said. Latimer and Mark Hans, chair of CWRU's Department of Orthodontics, were among a team of researchers that worked closely with the study's lead investigator Israel Hershkovitz, professor of anatomy and anthropology at Tel Aviv University. The partial cranium, covered in a patina of minerals produced by the wet conditions within the cave, allowed Miryam Bar-Matthews , Avner Ayalon and Gal Yas'ur from the Geological Survey of Israel to use uranium-thorium dating techniques and determine that the skull was between 50,000 to 60,000 years old. Several features of the cranium resemble modern man's skull, Latimer said. In particular, he was interested in the cranium's bony formation called the occipital bun on the back of the skull. 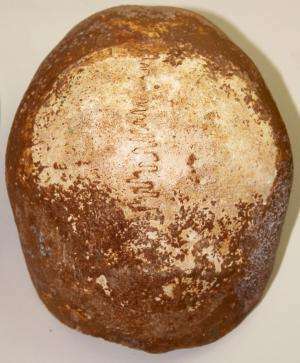 While its purpose is unknown, the Neanderthal's bun looks much like a bony hot dog bun with a groove down the center. This feature was absent in the Manot fossil, and is also typically missing in modern humans. The fossil's gender is unknown because it's missing the brow ridge, one marker for gender differences. Because the skull is from an adult, CWRU researchers know it is not related to other sub-adult human teeth and bones also found in the cave, according to Hans. "This leads us to believe that there are likely more fossils in the cave where other bones associated with the skull might be found," Hans said. Latimer became involved in the project after receiving an invitation from Hershkovitz to examine the fossil skull, discovered in 2008 by spelunkers who had rappelled through a newly opened roof of the previously unknown cave that had been sealed for 30,000 years. 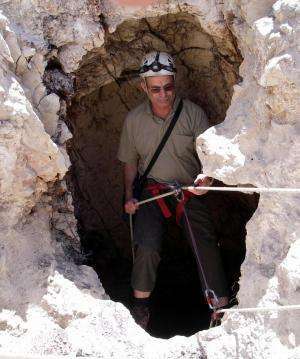 Under the direction of former dental school Dean Jerold Goldberg, Case Western Reserve formed a 10-year partnership with Israel Antiquities Authority and Tel Aviv University in 2012 to excavate the cave. As a result of this partnership, Latimer joined Hans to expand the scope of orthodontic research on craniofacial growth and development to include human evolution. 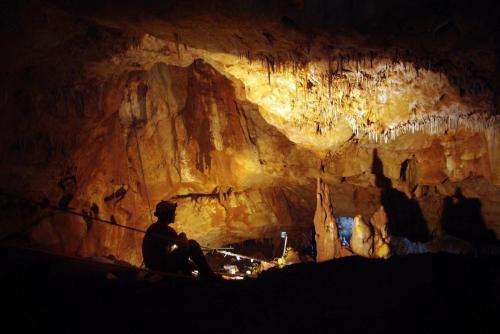 The Manot Cave project also is part of Case Western Reserve's initiative, called the Institute for the Science of Origins (ISO). "Who we are, where we came from and how we got here are questions that have fascinated us humans since before there was history," said Glenn Starkman, director of ISO and professor of physics, who studies origins of the universe. "We weaved wondrous myths that answered those questions definitively, but now we slowly accumulate evidence from the distant past. This process lies at the heart of the origins sciences, and the Institute for the Science of Origins celebrates the unique interdisciplinary collaboration that its fellows from the School of Dental Medicine deployed to uncover more of the story behind humanity's departure from Africa for the world beyond." Very interesting article but why doesn't anyone ask the question of where the Neanderthal species originated. Did they or did they not also originate in Africa? All of these writings imply that the Neanderthal and modern humans "met" at some point often in Europe. Has there been any evidence that the Neanderthal "evolved" in Africa? Lucy was found in Africa and is touted as being an ancestor of modern humans. Did Lucy, and we evolve from a different species? Did the Neanderthal originate in Europe at a time earlier that us. No information of that issue have I ever seen. It seems we are infected with their meeting and interbreeding but where did the Neanderthal originate, when, and from what? 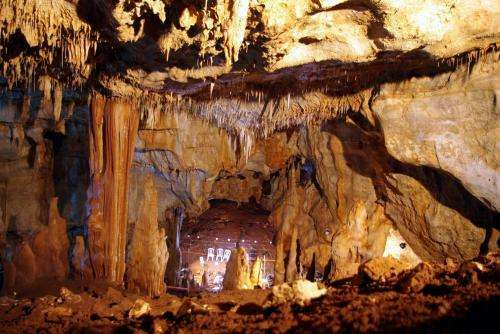 There are no evidence as of yet of a Neanderthal ancestor lineage in Africa. The observation of other as old non-African lineages (Denisovans) makes it hard to say if the defining splits happened in Africa or in Asia (say).